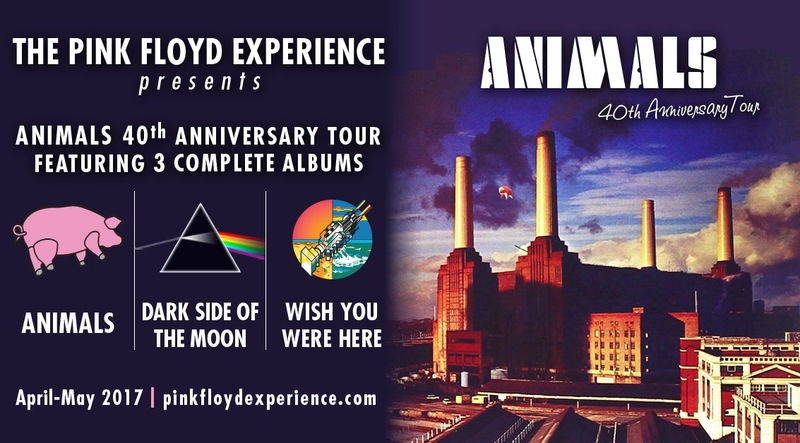 Marking their own 20th anniversary, The Pink Floyd Experience are returning to celebrate the 40th anniversary of the Animals album. The tour will include three of Pink Floyd's albums played in their entirety - Animals, Dark Side of the Moon and Wish You Were Here. Regarded as some of Pink Floyd's best work, they are recreated masterfully by the skilled musicians of the Experience.